Quitting your job can be downright nerve-wracking. You may have studied all the ins and outs of how to do it, but the fact is it’s still not going to be easy. However, if you strategize your quitting process right, you can assure the smoothest, most effective transition from old job to your dream job. As you consider how best to tell your boss you’re leaving while still leaving a good impression, hold on a second. While those considerations are completely necessary, before you march (or tiptoe) into your bosses office, know this. Not all quitting times are created equal. There are times that are just plain bad for resigning from your role. Here’s what you need to know about some of the worst times to quit your job. When things are a bit (or very) rocky at work, it can feel like a natural (and completely satisfying) move to throw up your hands and yell, “I quit!” But acting rashly can end up hurting you in both the short and long-term. Not only will you suddenly find yourself jobless without another offer on the table, but you might just find that your reputation will precede you at your next interview. Remember, managers and employees talk, and if you leave abruptly (and on a bad note) they might be too ready to let others know. The prospect of getting laid off can be unnerving as you wonder and wait to see if you will still have a job tomorrow. But don’t jump ship just yet. While you might be desperate to find a job before you’re left in the cold, a layoff can give you some financial security while you look for your next job. 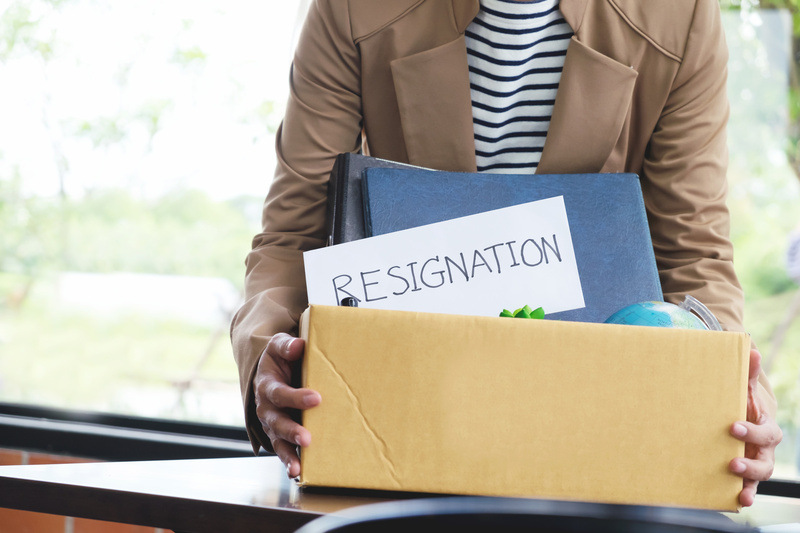 Severance packages that come with layoffs may include a period of ongoing health coverage and some financial compensation that can decrease the stress of joblessness while you seek out your next job. Interviews are great, but until there’s an actual job offer on the table, even the best interview doesn’t guarantee you’ll get the job. Sure, it may be tempting to quit a job you hate to devote yourself wholly to the job search. But unless you have a sizeable savings to live off of until you secure your next job, you’ll likely find yourself financially strained and desperate to take whatever job you’re offered, ideal or not. Major life changes can leave you reeling and prone to making rash decisions for your new life. While quitting your job might sound like a good idea if you’re having a baby, going through a breakup, getting married, etc, it’s best to sit back and think rationally before you submit any resignation letters. The reality is that life events cost money and if you don’t have a job, you’ll likely feel the strain sooner rather than later. Ready to strategize your resignation and secure the job of your dreams? Check out our job board.